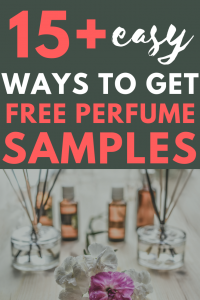 In this blog post, I wanted to share some awesome ways to get free perfume samples as there are HUNDREDS of ways to get them. I have been using these strategies for years and figured I would create a post to show you how it can be done. Why should you pay $100+ for perfume when you can stock a drawer filled with multiple samples that could last you years? On this list, these are samples that require no surveys and can either be found at a local retailer or may require your address so the company can mail them directly to you. Pinchme is a HUGE community with more than 4.5 million members that allows you to test products (yes, perfume) from leading brands in exchange for your feedback. First, you sign up for a free membership on their official website. No credit card is required and all samples are sent straight to your home for FREE, I promise. Next, once your account is activated (takes seconds), you can pick out the samples you want to be sent to your home. Samples rotate, but it’s as easy as selecting and waiting for your box to arrive. So if you just want perfume samples, just be on the lookout for these options. Then, once you receive your samples, all the company asks is that you fill out a small questionnaire, letting them know your thoughts about the product. If you’re a fan of freebies in general, I HIGHLY recommend this program as it’s a great way to receive sample boxes almost monthly. Again, there’s no catch and no credit card needed. Just sign up and wait for your box! 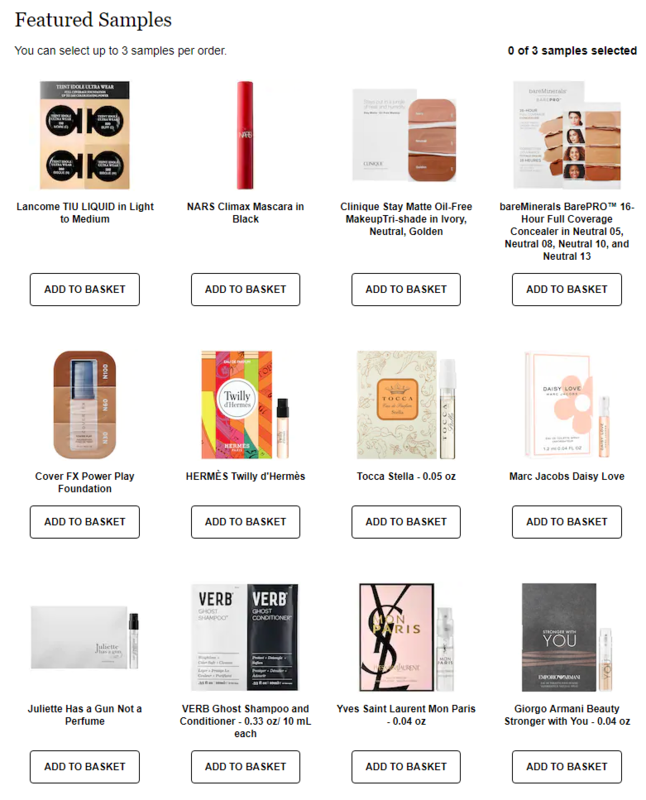 I’m going to write about this strategy in the future, but did you know that many of the big brands that you have heard of offer samples in exchange for testing both new and current products? 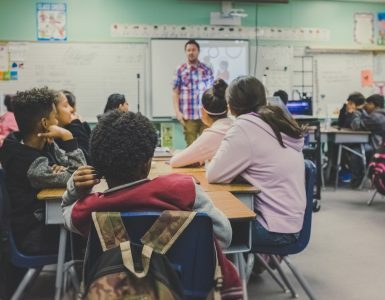 To help receive feedback, these big-name companies, such as L’Oreal and even Allure, offer panels that anyone can apply for and are always on the lookout for new participants. If approved, not only will you receive samples, but you can win prizes and even the actual product for sharing your feedback. This isn’t a scam, I promise. Again, I’m going to write in-depth on these panels as this is a whole another post in itself. In the meantime, I just wanted to let you know that this option does exist and is a great option to consider. It’s free and you have nothing to lose. Almost every department store you walk into will have a variety of perfume samples lingering around on or behind the beauty counter desk. If you do not see any, then in some cases, the samples may be behind the counter and you may have to ask an associate for one. If that’s the case, don’t be afraid to ask as the associate (and the brand) will be more than happy to offer you some, all in hopes you purchase more in the future. However, do not be surprised if the associate says none are in stock, either. Most of these retailers have those smaller one-milliliter bottles that often last me more than a month if I use it sparingly. If not, then it may be a simple piece of paper or the bottle may be on hand where can spritz the perfume onto a small piece of paper or cotton to take home. Your results will vary. PRO TIP: I had the best luck at Sephora as they are more than happy to give me a sample of ANYTHING. Even if they do not have it, they will create a sample on the spot; it’s by far the best. Sehpora, while wonderful, will limit you to three samples per visit, though. The internet, as you know, is loaded with billions of websites, of course, but there are some freebie websites that are dedicated to beauty products only, and I personally found some of these to be very informative. These websites will post daily deals, keep you in the loop and even offer additional tips on ways to receive free beauty products without whipping out your credit card. Keep in mind that most of these freebies, when they are posted, go VERY fast, so I do recommend you try to browse these deals daily to make sure you can increase your chances at snagging one. Also, avoid taking surveys or ever providing your credit card number. A legit freebie will only ask for your email address and that’s about it. If in doubt, research the domain name to see if you can find any information line. I know most people get a lot of their information on the Internet nowadays, but yes, I still subscribe to magazines, and since most of the ones I subscribe to are geared toward the female audience, I’m able to rip out at least two to three pieces of samples and add to my stash. These really add up if you subscribe to multiple magazines. Yes, that’s true, but I get my magazines for free, because, just like the samples, these magazines are willing to send out 12-24 issues for free all in hopes that I re-subscribe. Plus, the magazine isn’t losing out on too much since more eyeballs are on the advertisers inside of the magazine. I know, you’re wondering how I get magazines for free. If you do sign up, NEVER give out your credit card and be aware of the website that you’re using since there are a lot of scams in this niche. If you do subscribe or you’re currently subscribed, make it a habit to rip out the perfume samples inside of the magazine and stash them away for future use. I have tried this strategy in the past, and I actually had great success with it and wanted to share the details. While this technique isn’t 100% free, it will cost you a stamp and isn’t guaranteed. Next, once you built up your list and have your mailing addresses, you’re going to want to write a very simple letter. Be sure to get straight to the point and ask for a free sample in a nice way. Just explain that you like the brand and are looking to try some new products but do not want to invest the money just yet. Again, be nice and write something short and sweet. In your letter, make sure you give the company your postal address and sign your name so they can address the small package to you. Send your letter and wait up to six to eight weeks since these companies can be backlogged in some cases and may take some time to reach out to you. DO NOT send an email as you will more than likely receive a standardized “Thanks for your email” and you will have a very low success rate. Again, in the past, even though it’s been a while, has worked. In fact, I sent out five letters and received four responses in less than eight weeks — I was quite surprised! If you do try this out, do let me know if you receive something in the comments as I would love to add your feedback to this list! Like the beauty tester strategy I mentioned earlier, did you know that some companies will not only send you the product, BUT they will pay you for the review as well? 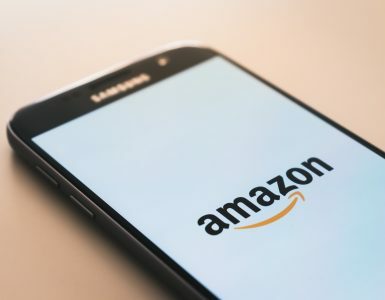 A lof these brands, especially the smaller ones starting out, want to send you a product, and in return, they kindly ask you to review the product online, either via Amazon or maybe a blog, for example. These positive reviews, as you may have guessed, can help increase their exposure and hopefully draw in more sales. It’s really a win-win for both. Do keep in mind, however, that you cannot just apply and expect to approved as some of these postings you see on these websites will have specific criteria that you need to meet before they send the samples. If you have a website with traffic or a larger social media following, then I highly recommend this route. I love to shop at Sephora, and if you do too, then you may want to use this strategy the next time you shop either online or in store. If you purchase online, did you know the company allows you to add up to three samples per order? Writing this, the company had more than 16 samples to choose from, ranging from mascara to perfume samples that are actually pretty big! In fact, when I received a sample in the past, one of the little bottles lasted me at least 20-30 sprays. You DO NOT have to make a purchase in order to receive these samples. Simply add the samples to your cart and proceed to checkout. As long as you do not have any paid items in your cart, Sephora will not ask for payment details. Aside from buying online, as I mentioned, I highly encourage you to visit a local Sephora because the employees are more than happy to offer you samples of the current fragrances. Simply walk up to the beauty counter and ask if any samples are available. In some cases, samples may be out on the counter as well. From what I have experienced, Sephora will limit you to three samples, per visit, but will let you sample everything — it’s awesome! While I find a Google search quite helpful in finding perfume samples, I have found the Twitter real-time search to be even better in some cases. Even if you do not have a Twitter account, you can still perform this trick. 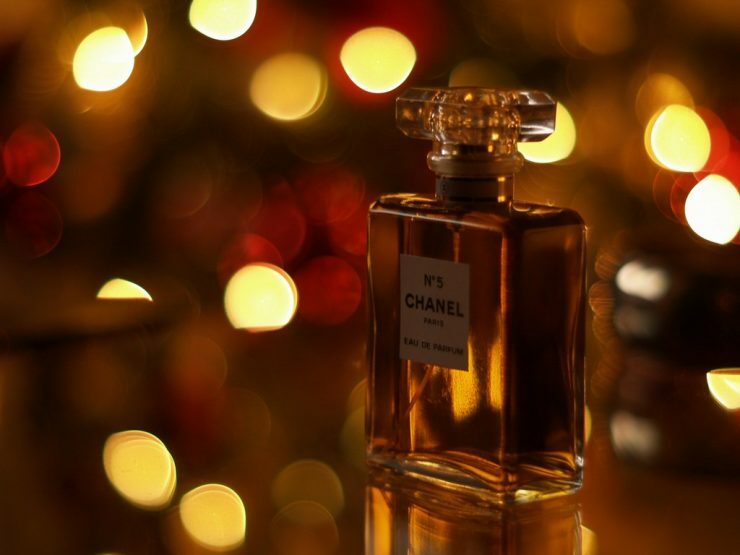 To find free perfume samples via Twitter, here’s what you will want to do. As long as the post is less than 72 hours old, you can often find some pretty good leads. Do keep in mind, however, that there are a lot of spammy accounts that may trick you into filling out a survey to get free samples — do not fall for them! Also, never give out your credit card information, either. To be certain, the deal is legit, always make sure you’re working with either a major manufacturer website or third-party website with a following. Always do your research as many of these websites just want your money and are willing to trick you in the meantime. This trick can also work on Facebook by using the search feature on the top, but when I tried, I did not find as many results as I did on Twitter, but it doesn’t hurt to try. Outside of Twitter and Facebook, also consider using Pinterest, Instagram and attempt to search Google, but make sure you filter your results from the past week to make sure you get fresher results. Don’t swear at me just yet as this method is not 100% free since you do need to make a purchase; however, if you’re like me, I know, for a fact, that you do shop at Ulta from time to time. Well, did you know that you can receive a free perfume sample at checkout if you add the option to your shopping cart before your purchase? Aside from perfume, the company lets you add skincare samplers, fragrance samplers and so much more. Don’t want to make a purchase? If you do shop at Ulta, then I highly recommend you sign up for the company’s catalog because not only will you receive great coupons, but each catalog is always chocked filled with perfume samples that I rip out and throw in a drawer. To get a catalog delivered to your home every few weeks, create an account on Ulta.com or you can follow the directions as noted on the company’s official FAQ page. If you shop inside of an Ulta store, then you may already now that they provide a variety of samples, all of which you can take home as well. Like the department stores I mentioned earlier, ask an associate if any samples are available if you do not see a particular brand you’re interested in. This is not a freebie per se, but I feel you can get your money worth if you do not mind spending a few dollars, and I really wanted to add it to the list. On eBay, I found so many perfume samples for as little as a few dollars, and in my opinion, it’s well worth the money, I promise! For example, at the time of this writing, someone was selling a 15-pack sample of multiple brands for as little as $5, while another seller had 48 spray samples from True Religion for a $20 buy it now. Again, you do have to pay, but you may find some great value in doing so. To find the latest perfume samples to see what I’m talking about, you can do so by following this link. I promise it’s worth it! Again, be careful here since some people, unfortunately, want to send you fraudulent/fake perfume offerings. To be safe, try to buy from someone who has high feedback and always make sure you use Paypal to protect you in case you need a refund in the future. Dior offers up to two samples as long as you make any purchase and choose the standard shipping time. If you plan on purchasing something from the official website in the future, be sure to add two samples to your shopping cart before checking out to take advantage. Better yet, if you purchase more than $100 in product, the company will include a travel sized sample instead. myPerfumeSamples was a pretty cool website I came across online that offered small samples from hundreds of best sellers for as little as $2 for a 1mL vial. Other options were available as well, such as a 3mL spray, 5mL spray, and 6.8-ounce bottle, for instance. Again, if you do not want to go through the hassles of traveling to a store or writing a letter, then I understand and would recommend this route instead. This is a guaranteed way to get a sample you want and pay a lot less than a free bottle if you wanted to sample it. Again, it’s not free and you need to spend $35 or more to receive free shipping. If you do not meet the minimums, then it appears the shipping rate starts at $5.99 for the standard shipping option. Like myPerfumeSamples.com, ThePerfumedCourt.com works in the same way and is highly recommended from the comments I saw on some YouTube videos. Browsing the featured products, I found so many great brands for as little as a few dollars and the shipping rates were a pinch cheaper if you spent less than $35 as the company only charged a flat $3.95 for purchases less than $100. Again, another nice option if you just want to spend a few dollars and purchase samples. ScentBird is an awesome subscription box-like service that costs a pinch less than $15 a month, BUT do not let this price scare you yet. Let me explain. When you sign up, the company lets you choose from 450+ designer fragrances, all of which are 100% authentic, and trust me, the selection is massive. Once you select your perfumes, the company will then mail you the sample-sized samples every month. Again, I found it to be an awesome value when I did subscribe, but since I have so many samples right now, I had to pause my subscription. Another website I just wanted to include as well that worked just like The Perfumed Court and myPerfumeSamples.com was ScentSplit.com. This website also had multiple big-name brands, with most samples retailing for less than $5. Whew! 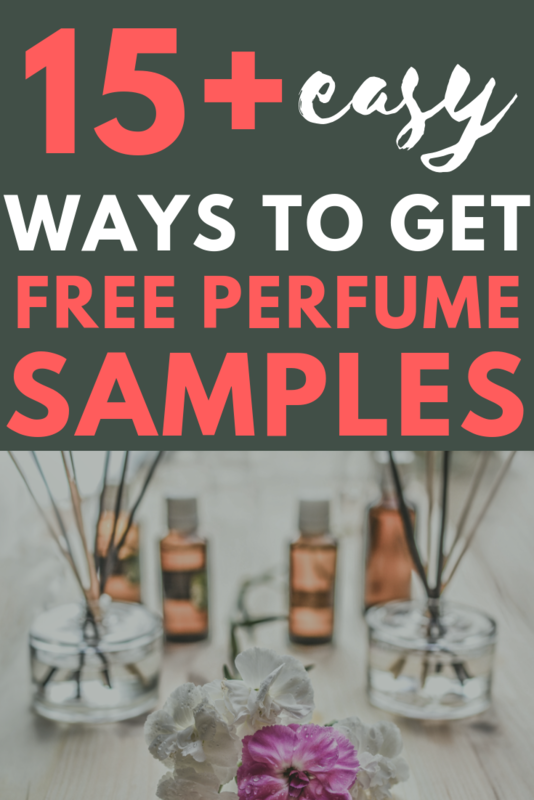 About 3,000 words later, I’m done sharing the ways as to how you can get free perfume samples. And as you can see, there are so many great ways, both free and if you’re willing to invest a few dollars. In the end, my favorite ways, as mentioned, are via my magazines and by visiting the local department stores, and even if I do not need the samples just yet, I may grab a few to add to my stash. To date, I must have at least 100+ samples in my perfume box, probably meaning I will not have to buy perfume for quite some time, it’s awesome! Also, if you want to add makeup to your free perfume stash, then I recommend you check out my 55+ ways to get free makeup post. If you have any tips you want to share, I would love to hear them in the comments below. Hi! My name is Stephanie and I reside in the Phoenix, Arizona metro area. I have worked in the finance industry since 2006 and love talking money.